Buying a student cello can (and should) be an exciting time. Acquiring a good, substantial instrument that is dependable, will greatly enrich a player's enjoyment while at the same time, not break the bank! At the same time, knowing what to look for and deciding how much to pay for that first 4/4, full sized cello can be an intimidating task. What to get? How much should you pay? What to look for? Parents are busy. These days with a stressful economy, it's important to make good, educated buys and get a cello that will not be a money pit after you buy it and also be the best cello for your money. At the String Emporium, we pride ourselves on the highest quality student cello, that are easy to play, and with the best prices anywhere. First of all, not all cellos are created equal. There's a lot of junk out there: On the internet and in shops. It's also amazing at what huge ranges in quality one finds for the very same price. Buying a camera or laptop is easy! One typically looks around a bit, does a little research and then shops all over looking for the lowest price. We're used to these things and already have some kind of working knowledge about what it is that we're looking at. But a cello? The cello has to be well made, have quality "fittings", and how the cello is "set-up" (prepared to play on) is also equally important. Some instruments are made as quickly as possible with plenty of short cuts used in the making process. Quickly sprayed varnishes, interior parts that don't fit well or improperly proportioned might make the cello look good on the outside, but inside the inferiority will eventually create more problems than not. 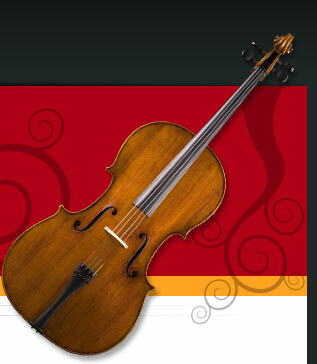 Take a look at our cellos for sale page for detailed photos, descriptions and our low prices. Cello fittings are everything that is combined with the cello to make it a playable instrument. The tuning pegs should fit properly and not slip or be too tight. They should also be high quality ebony. The fingerboard (while most are ebony) should be a very good, high grade of ebony. (They tend to all look nice fingerboards in the photo, but the way they are prepared can make a huge difference in the overall performance of the cello. The fingerboards should not be totally flat (from end to end). This will create annoying buzzes that are expensive to have done again. The bridge used (which holds the strings up) should be a good quality French bridge (yes, from France). There are really only 2 companies that are reliable: Despiau and Aubert. The bridge must also be fit perfectly to the top and 'tuned and adjusted' once the cello is strung up. The bridge and soundpost are the most important factors for tonal adjustments. How a cello feels is extremely important. Strings that are a millimeter or two, too high, can really make a big difference to the student playing that cello. A cello that is easy to play makes it so much easier for the player to concentrate on without having to "fight" the instrument. Good quality strings, fingerboard set up, bridge height and fit, soundpost fit and placement all work in tandem and complement each other for a premium performance level. Interestingly enough, do this is just a few extra dollars and it boggles the mind that so few dealers and sellers do this! 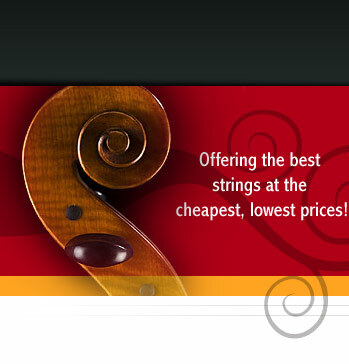 Try the cello out for a week and get that warranty! Again, buying a new cello is exciting! Get one that is well made, with good fittings, with a warranty and set up to play at it's optimum while still not having to break the bank or cash in the college savings!